The national NEU Young Teachers' Conference was held on 22nd-24th June at the Slate and Scarmen Conference venue at Warwick University. The conference gives young teachers a chance to discuss the issues they face and work out practical solutions. It provides them with the opportunity to meet and network with other young teachers from across England and Wales. The event aim to support young teachers already active in the union and to encourage others to become active through workshops, exhibitions, plenaries, CPD, TeachMeets, theatre and fun. 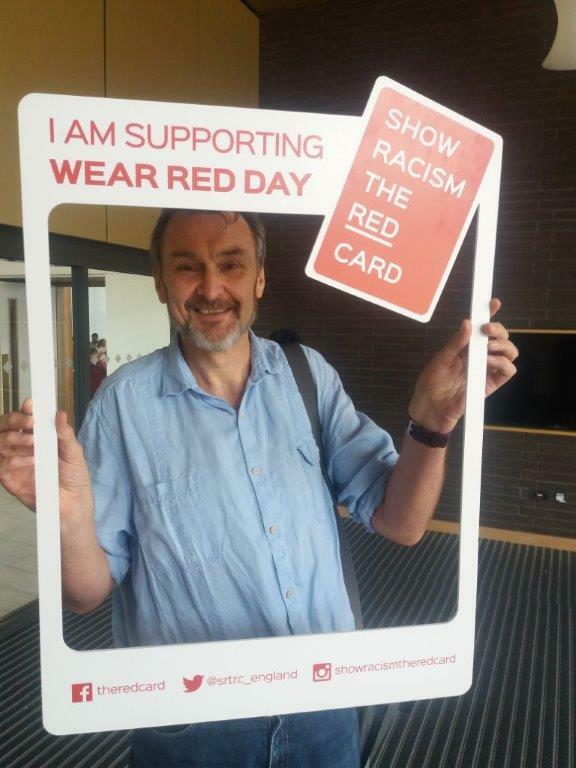 Teachers and the NEU General Secretary, Kevin Courtney, took time out to support Show Racism the Red Card's 'Wear Red Day' 2018. We are grateful for the support shown by the NEU and it's members and were pleased to be present at the conference.